The Z-Series product line offers 7 different sizes, 6 model types, and 9 ratios, with various input-output arrangements including solid shaft or hollow bore options, as well as universal mounting capability. All of these options are made possible by a modular design concept that starts with a cubic housing. The Z-Series is an extremely versatile product line, meeting virtually all of the technical offices requests . ZD Series Manual slide dog clutch, including a neutral. ZI Series The same as ZD With manual forward neutral and reverse. 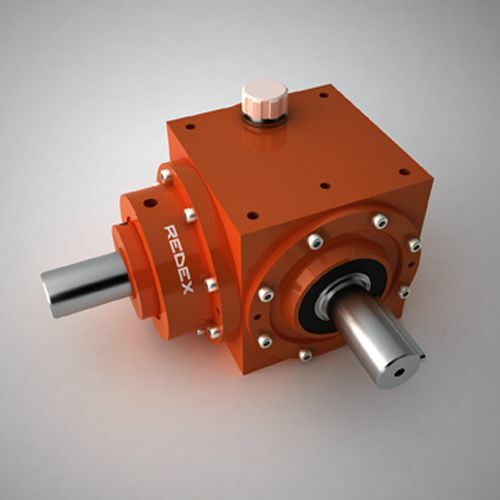 ZR Series Spiral bevel gearbox with reinforced hollow bore. 9 Reduction ratios : 0.8 ; 1 ; 1.25 ; 1.5 ; 2 ; 3 ; 4 ; 5 ; 6.